Posted on October 9, 2018 at 6:11 am. We begin today with WOLF PACK PRIDE! The WMS Girls Ultimate Frisbee team traveled to Swanson Middle School last Thursday and earned a SPLIT of a fierce double-header — one win, and win loss. According to Coach Smo — the team’s offense was absolutely CLICKING — featuring fluid passing, and quick scores. Special props to 8th graders Isabelle, Elise, Abby, Kate, and Sienna. Way to go, frisbee wolves!! [clap] The next match is scheduled for THURSDAY on the road against Gunston. Let’s bring home a win! Wolf Pack Pride continues with he WMS tennis team. The LAST regular season game of the year is TODAY after school against Swanson. Players are reminded to meet at the bus loop for the ride over to the Yorktown courts. Let’s finish the season strong!! And speaking of books — in honor of Hispanic Heritage Month, the WMS Library has compiled a wonderful list of literature by Hispanic and Latino authors. Virtually every genre is represented — and you’re guaranteed to find a good read. Just stop by the library for more information! Would YOU like to go to college some day? Then you’ve got to start planning NOW! The WMS “College Bound Group” will be hosting its first meeting TODAY during ASP 1 in room 203. Take your first step towards a higher education — and have some FUN while you’re getting there. See Ms. Cameron for more information or with any questions. 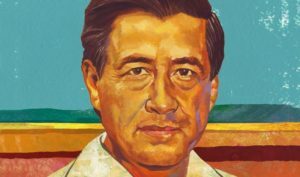 Meet Cesar Chavez — a civil rights activist who rose to prominence the 60s and 70s. 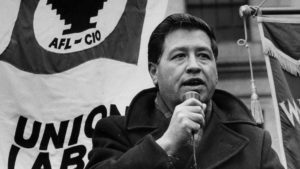 Chavez used nonviolent methods to secure better treatment and wages for migrant workers and farm laborers throughout the United States — and particularly in Arizona and California. 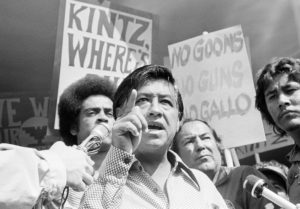 He co-founded one of the largest labor unions in the country, and his efforts benefited MILLIONS of people. 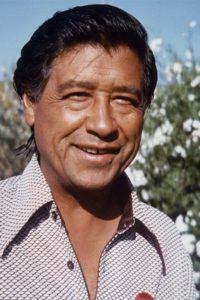 In fact, he became something of a cultural icon in the Latino community — with countless school, parks, and streets named in his honor. And in 1994, shortly after his death, President Bill Clinton sealed his legacy with the Presidential Medal of Freedom — the highest civilian award in the United States. 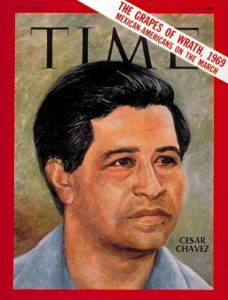 Chavez was truly a CHAMPION OF CHANGE!